Here comes something which is new at least from Microsoft side. A 90 days trial version is beingÂ made available for the Enterprise version of Windows 7 by Microsoft. As per Microsoft, this version is intended for those people who do not yet have access to Windows 7 RTMÂ through any of the means stated below. 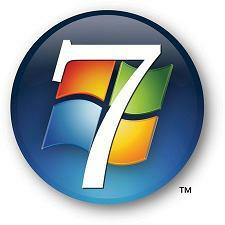 Through Software Assurance agreements allowing the download of Windows 7 RTM via the Volume licensing Download center. This provides a good opportunity to people who want to give Windows 7 a try before deciding to buy it. Also, it lets you try it easily for 90 days without doing the process of rearming it every thirty days. Windows 7 Enterprise 90-Day Trial is available in English, Spanish, French, German, and Japanese in both 32 and 64 bit versions. Also, you need to activate Windows 7 Enterprise 90-Day Trial within 10 days after installation, or it will shut down every hour. Windows 7 Enterprise 90-Day Trial is valid for 90 days after installation. After expiration, your computer will shut down every hour. Click here to get the Windows 7 Enterprise evaluation download.